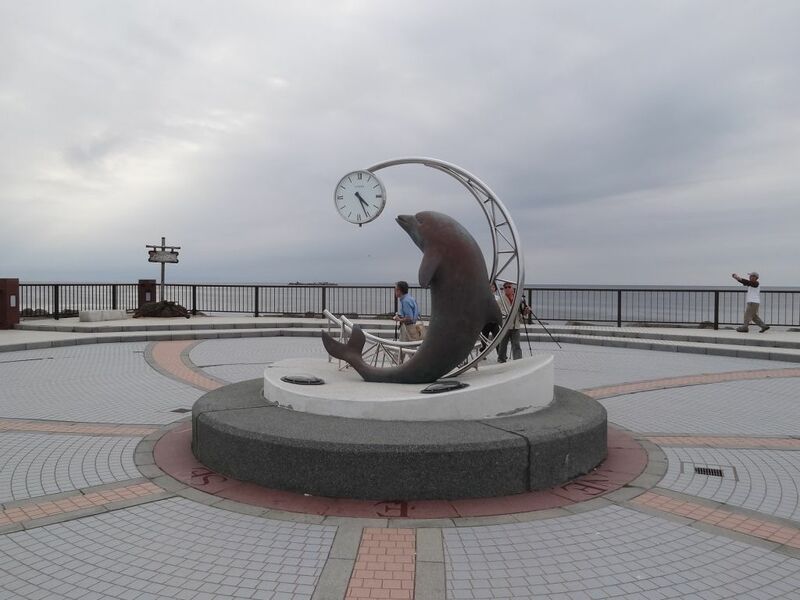 Hokkaido – Tomakomai to Soya Misaki. 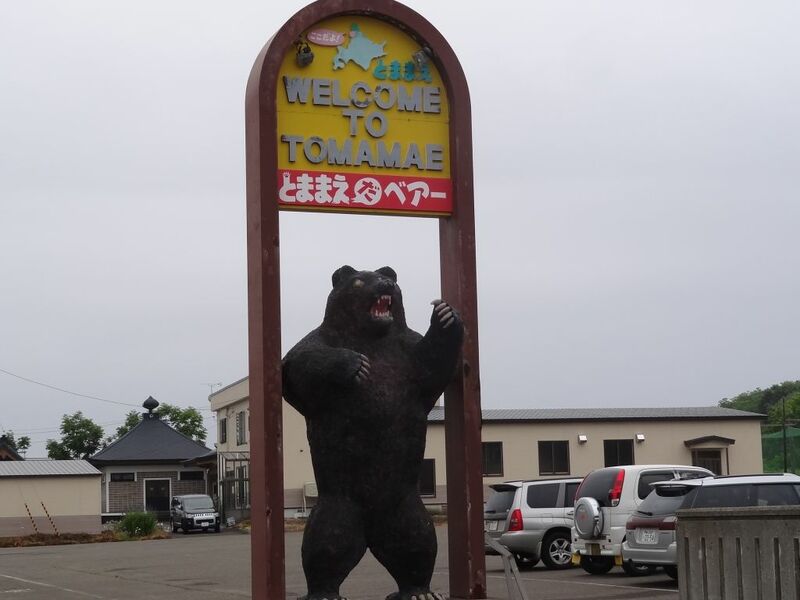 Saturday 30th June – Tomakomai to Morappu. Cold and windy night and morning, tries to rain. Decide if I can use the rider house’s computer to catch up on my journal I will stay there. Attacked by a crow/rook when I stop to photograph golf firing range. Well, it slapped me on the head with what felt like its wing, cheeky blighter! Must be still nesting. 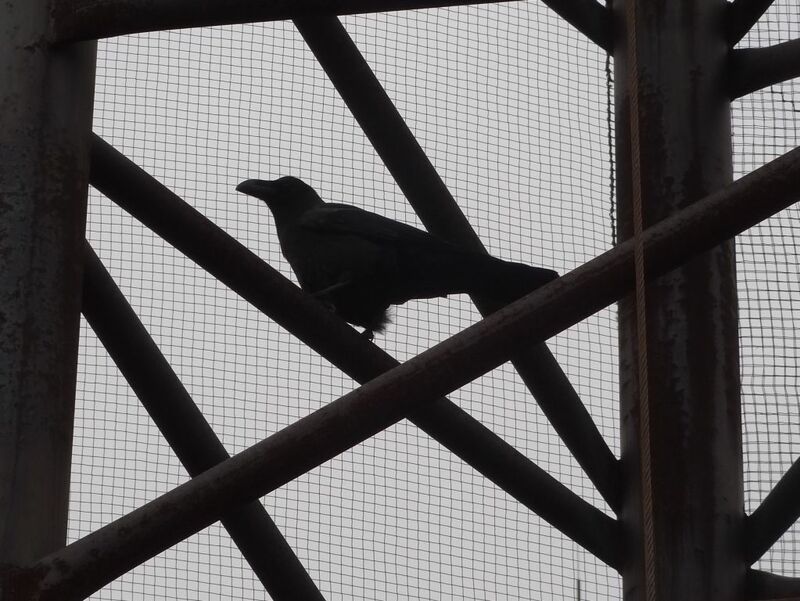 The crow/rook who attacked me while….! 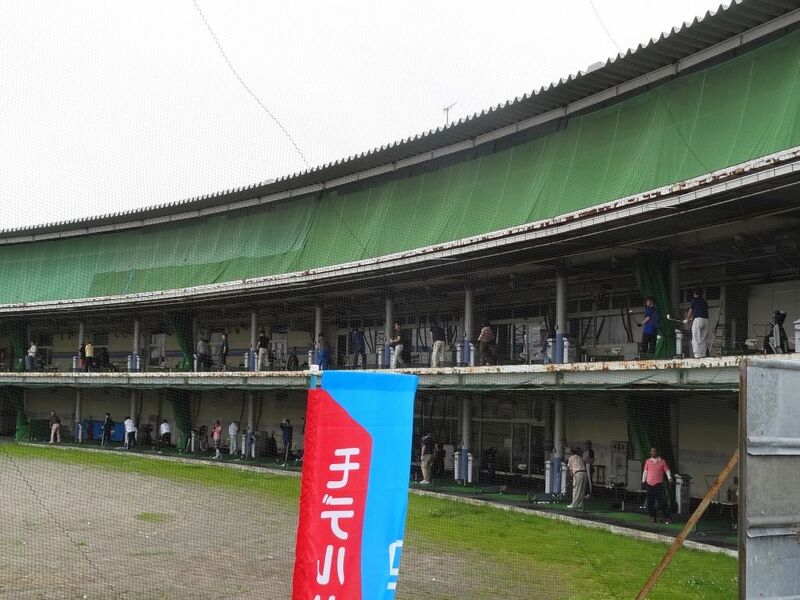 I took a photo of this golf firing range. A few km out of Tomakomai the clouds evaporate and sun comes out. Nice. Arrive at destination at 11:00am but computer doesn’t work and check-in is 4:00pm. Should go but decide to stay but it is a long wait. Several guests include Hiroyuki with Karl and Pocky, the “friendry” dogs. Karl and Pocky with their servant Hiroyuki. Sunday 1st July – Morappu to Ishikari. About 4 large hills to cross, getting smaller as Sapporo neared. Arrived at the large park and enjoyed people watching. 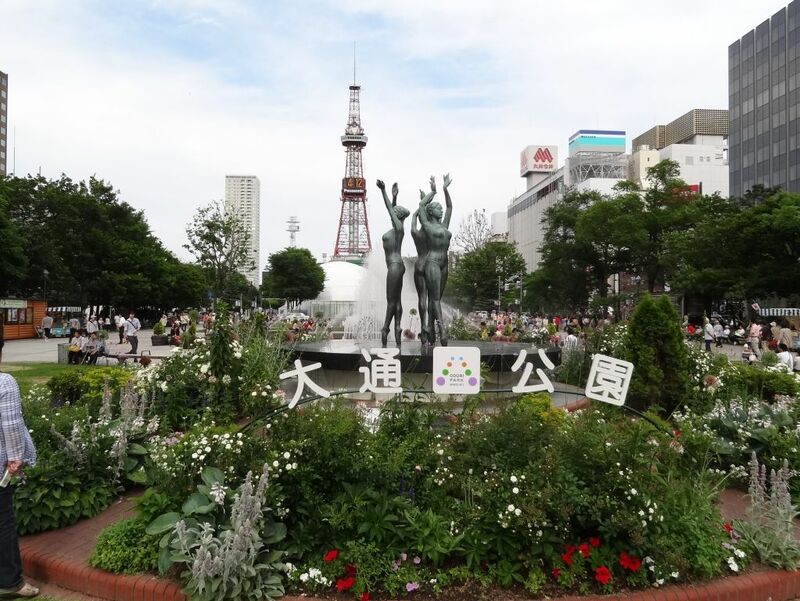 Sapporo, Hokkaido’s capital city – the central city park. 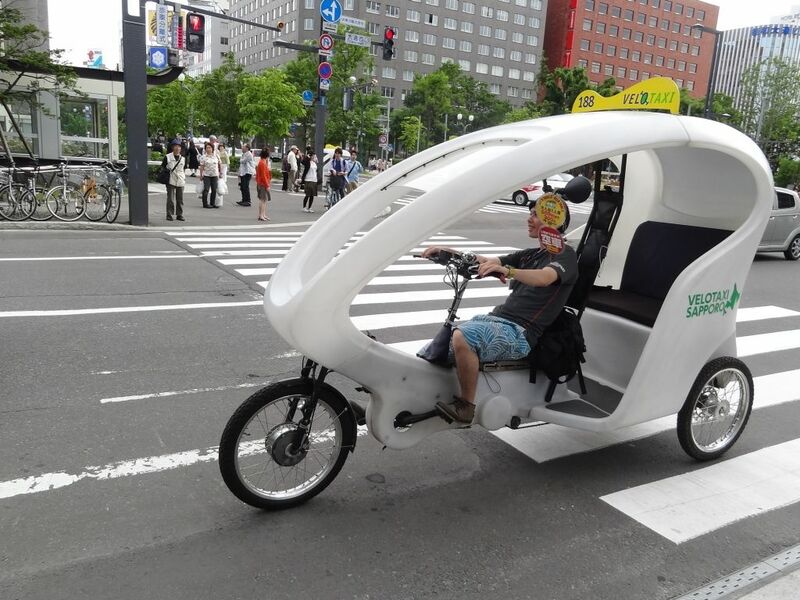 Bike taxi cruising the park. Sapporo is Hokkaido’s capital and biggest city. It is my first time to go there in 4 visits. Temperatures were 33c yesterday, glad I didn’t go! Nice place but decide to continue onto Ishikari. A strong tailwind also helped me decide, and although cold it had me arrive at dusk. Not sure of the location so ask people in a car. Nice and helpful but didn’t know, took quite a long time with me getting colder while waiting, eventually they used google maps which sent me to a place no rider house existed. Asked a local gent but he didn’t know. Found a town map and rider house on it – just 300metres from where I asked the people in car! Kaze (wind) is an excellent name for such a location. One other person and two cabins so I take the second one. His friend arrives later and he joins his friend. Good night sleep. 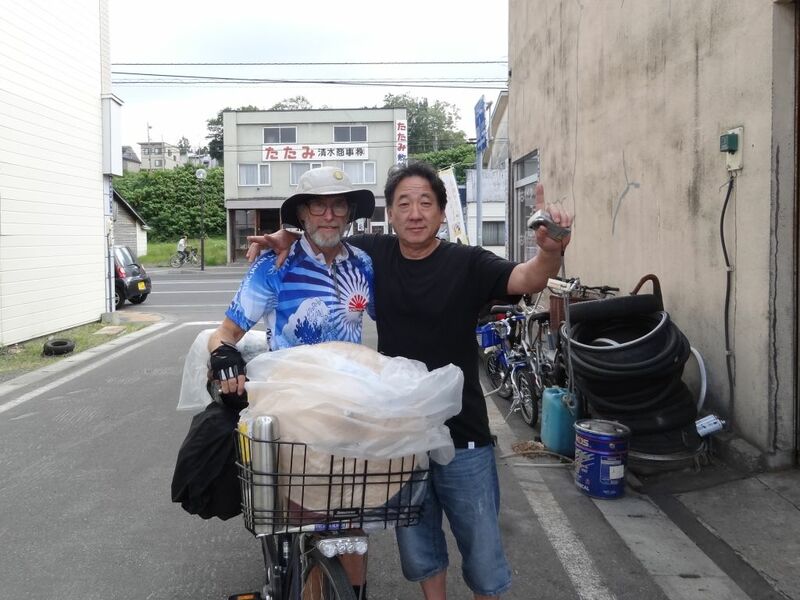 Monday 2nd July – Ishikari to Ofuyu. 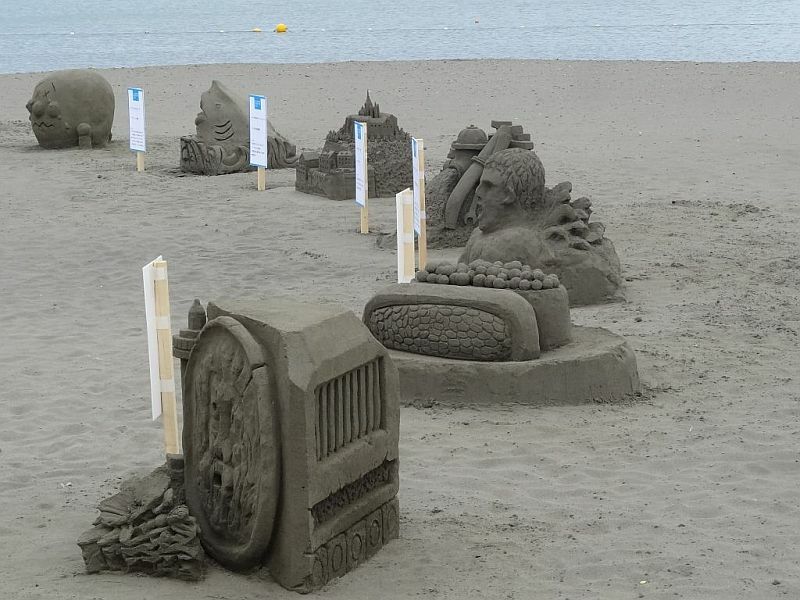 Find sand art sculptures on the deserted beach in the morning down a “no entry” road. On the way out of town find the second rider house, about 30 metres from where I asked the gent last night! Still a strong SE wind blowing so decide to go up the coast on what I call “tunnel highway” due it having a lot of holes in rocks. Tunnels reduce hills, on hot days are cool and on wet days are dry. The road was quiet so quite nice riding. 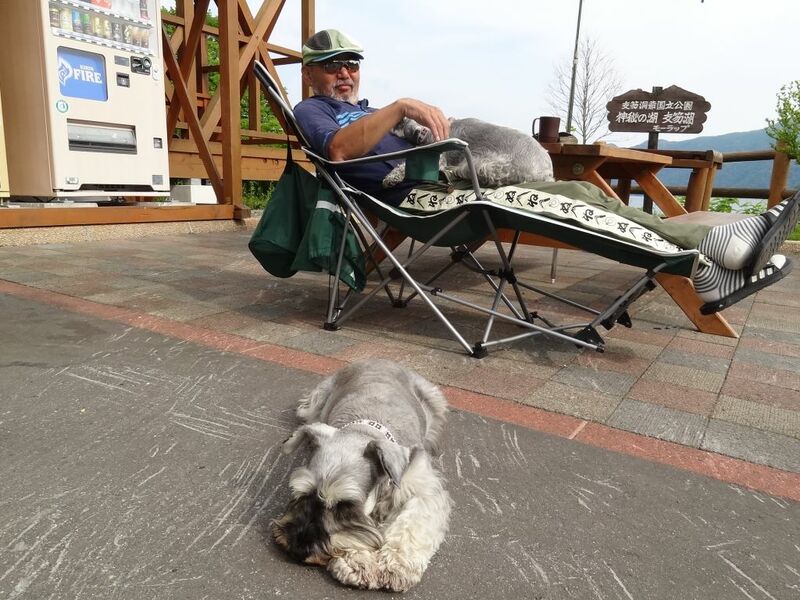 Got to Ofuyu late afternoon and decide to stay at the roadside campground. Have ramen at the only restaurant. The place is like a ghost town. At about 9:00pm woken by truck engine running nearby. Fall asleep wondering how long it will go on for. Tuesday 3rd July – Ofuyu to Rumoi. Wake up at 2:30am and the truck’s engine is still running so go and ask the driver to turn it off. Decide it might make good video so take camera as well. Manage to communicate with him to turn it off and he does. Go to bed and sleep. 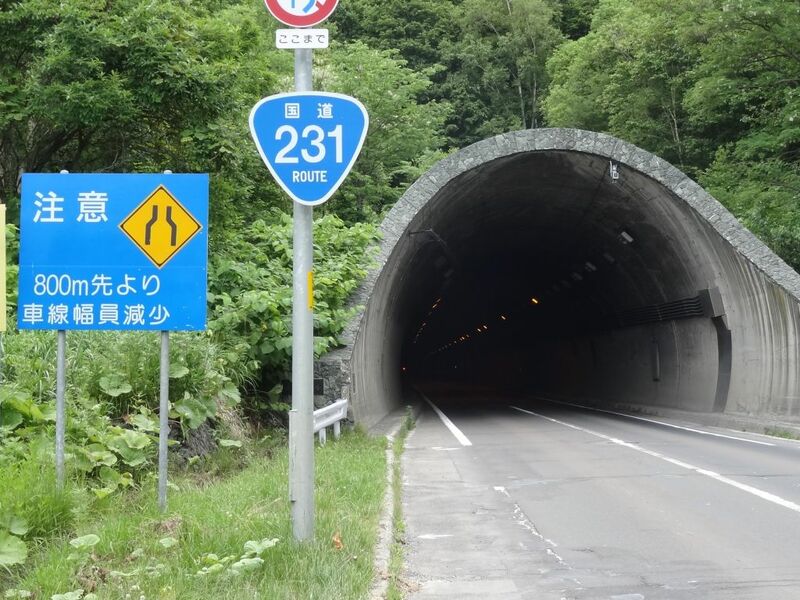 When I leave at 9:00am his truck is still there, I wonder if he is OK.
Another nice tailwind as I go to Rumoi through another host of tunnels, the number of which I have lost count. Doesn’t matter because they are drilling more to replace the older ones. The longest was about 2.5km long. Fortunately there was not a lot of traffic. Arrive Rumoi early afternoon. Mitsubachi rider house is locked so go looking for the address on the map. End up on the wrong side of town. Mitsubachi House owner and I. Back at the JR station see two cyclists from Macau with whom I exchange words. They complain of the hills, and they had just come through all the tuneels I did! JR staff phone the number and direct me to its location. Meet the owner of the rider house and exchange photos. Only 3 people stay this year, last year it was around 20, due to the Rumio Festival. Wednesday 4th July – Rumoi to Teshio. At 100km it is a big day. Light rain starts soon after leaving but gives up soon after. Nice riding along the coast. Gentle tailwind still. Stop at Haboro to shop and have an early lunch. 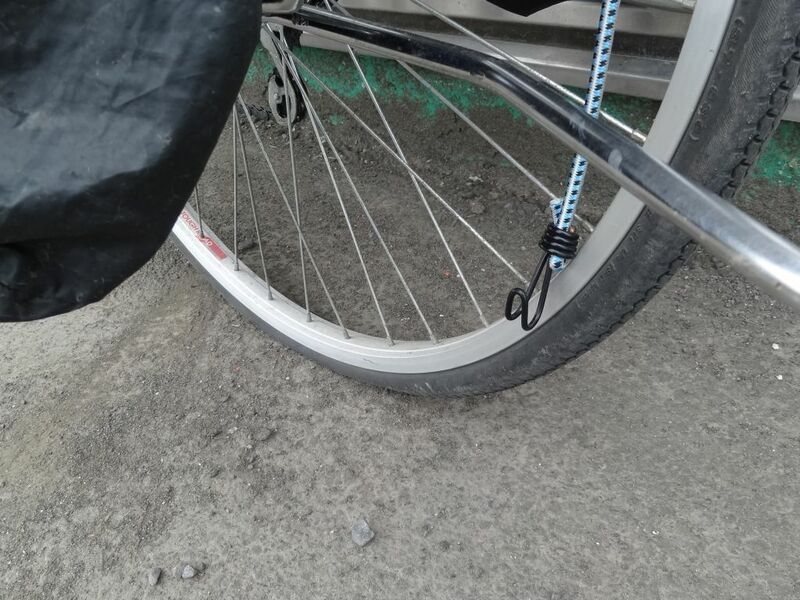 Coming back to my bike see I have a puncture, the first and on the rear wheel. The adapter doesn’t work, means I might be in trouble, go back in super and everyone is busy except a lady in a kind of office. Ask her, no English but communcate my problem. Tells me of a bike shop, then she asks another staff and he recommends Bridgestone workshop next door. We go there, he manages to pump up the tyre using the adaptor, I had not put it on correctly. He also recommends a place to fix it. Whiz down there and they do, Don is right, they don’t take the wheel off mama-charis to fix punctures. Regardless, the mechanic does a good job including finding the offending item, a shard of glass. Cost 1000 yen and back in business again after a delay of a couple of hours. Now I know how it is done but will I now have enough time to get to Teshio before dark? Head to the beach to see if it is the one we stayed at 20 years ago. The fake palm trees look familiar but will have to wait until I get home to check. Is this a real bear? 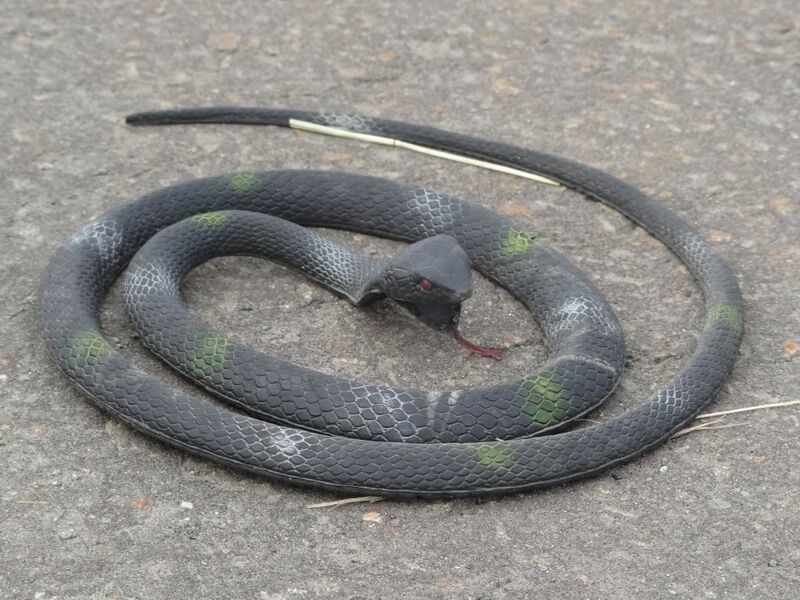 Is this a real snake at the side of the road? 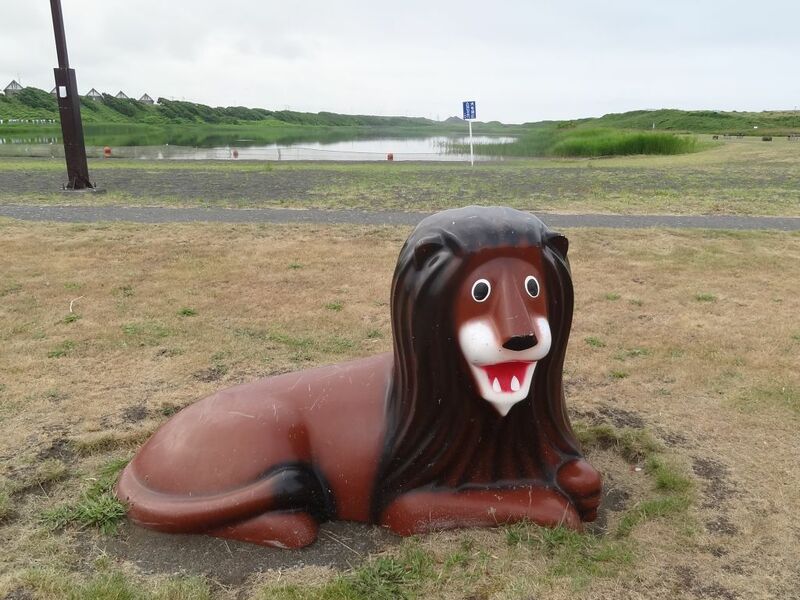 Is this a real lion in Teshio Campground? 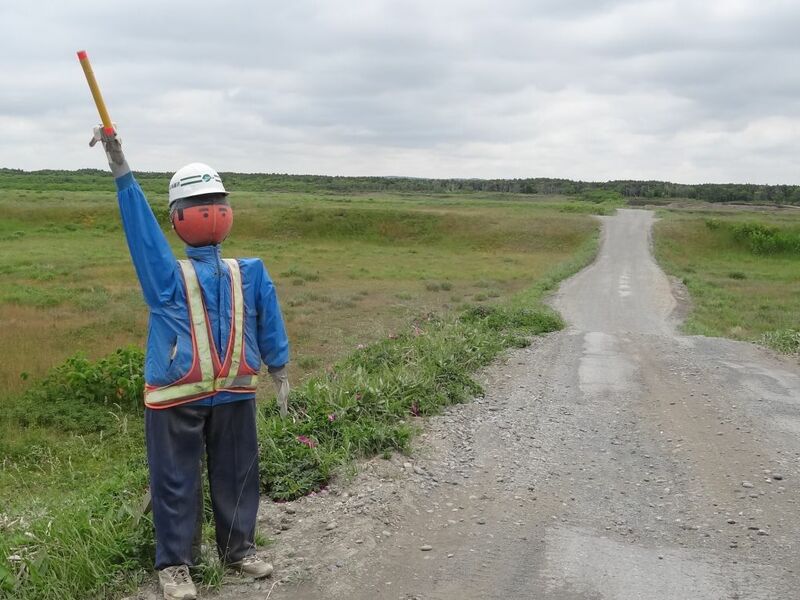 Is this a real road safety man directing traffic? As there are a couple of campgrounds on the way decide to continue. Make it to Teshio before nightfall. Just one other person is there, a cyclist, an older man with large boots. He encourages me to stay in the other building, which I think is new. I do. 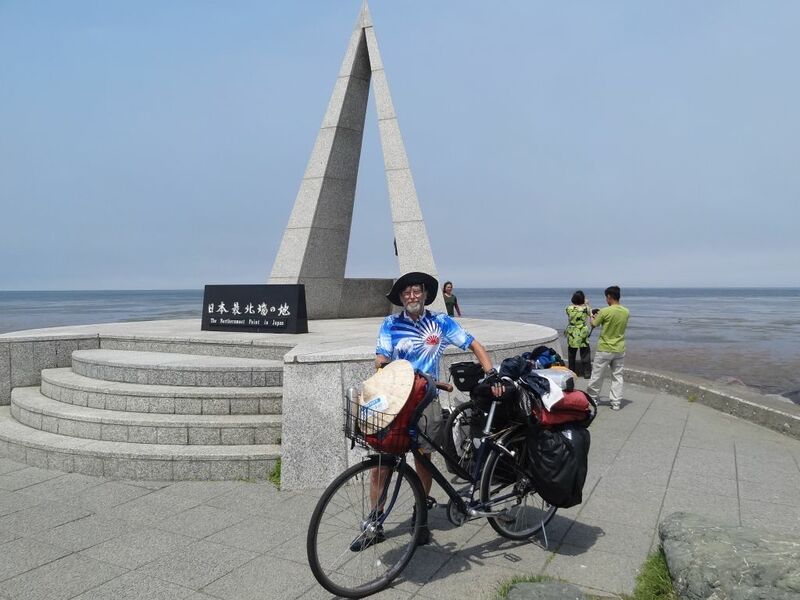 Thursday 5th July – Teshio to Wakkanai. Light traffic, 60kms and a tailwind mean an easy day run up the coast. Passed by one of the riders from Morappu and he stops for a chat. 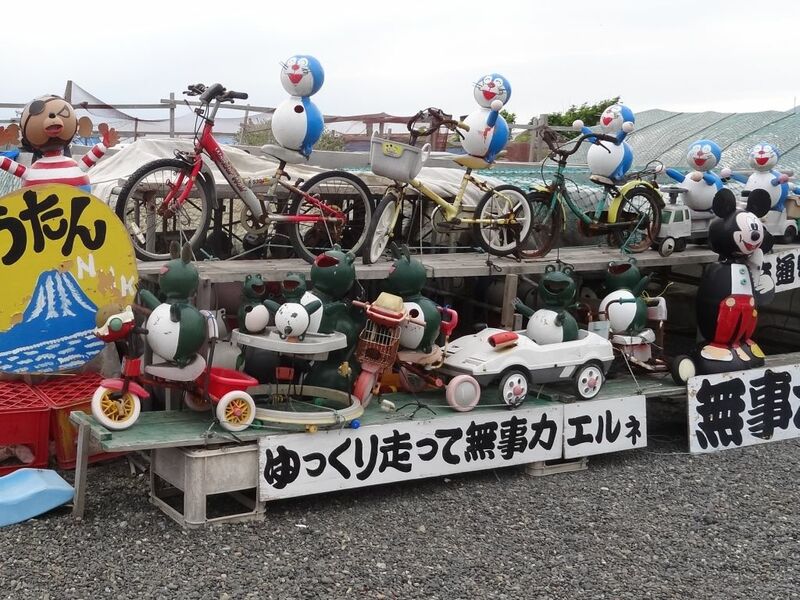 Are these real cyclists at Noshappe Misaki? Noshappu Misaki is of interest because it is almost spelt like Nosappu Misaki. The former is near Wakkanai and not the most of anything, the latter is the eastern point of Japan and where my fourth and last corner is located. I now understand why people got confused when I said where I was going. Noshappu Misaki, not to mistaken for Nosappu Misaki. 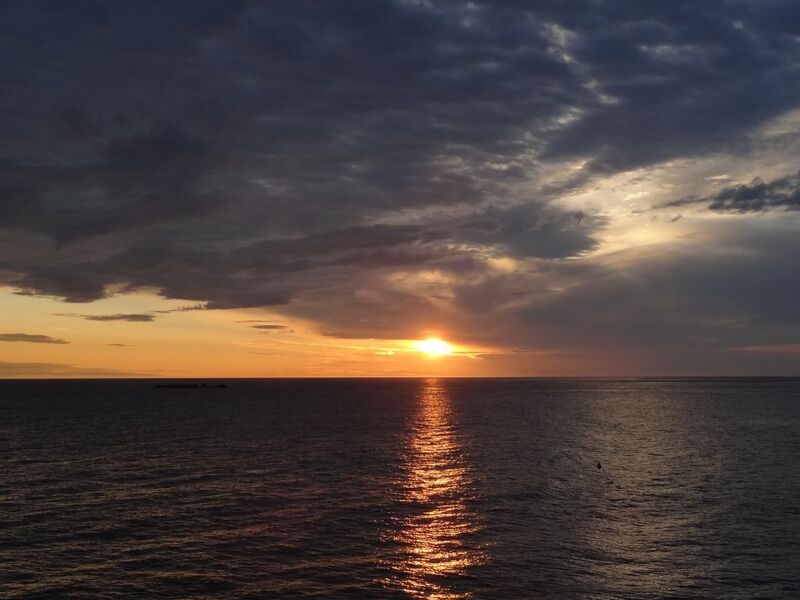 Friday 6th July – Wakkanai. Nice day so washed clothes and went to use free internet. No chair so have to stand, probably to reduce time people use it, I use it a long time but not enough. No USB port so cannot load photos to blog again. Return to campground late and leave coffee in bike basket like yesteday. 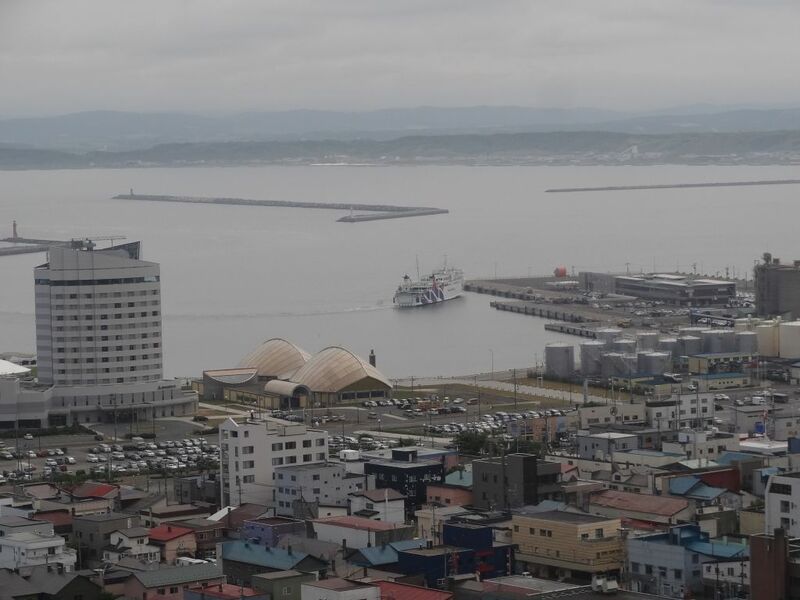 Wakkanai from campground, ferry from Rishiri and Rebun Islands just arriving in port. Saturday 7th July – Wakkanai to Hamatonebetsu. When I go to get the coffee for breakfast I find the container is on the ground empty. Think crow but probably it is fox or deer. A mother and baby of the latter were grazing nearby when I went to the toilet around 4:00am. Pack up and leave. Head wind, arrive at Soya Misaki at 11:00am, stay a couple of hours. Better weather this year! I’m here again like I was last year! 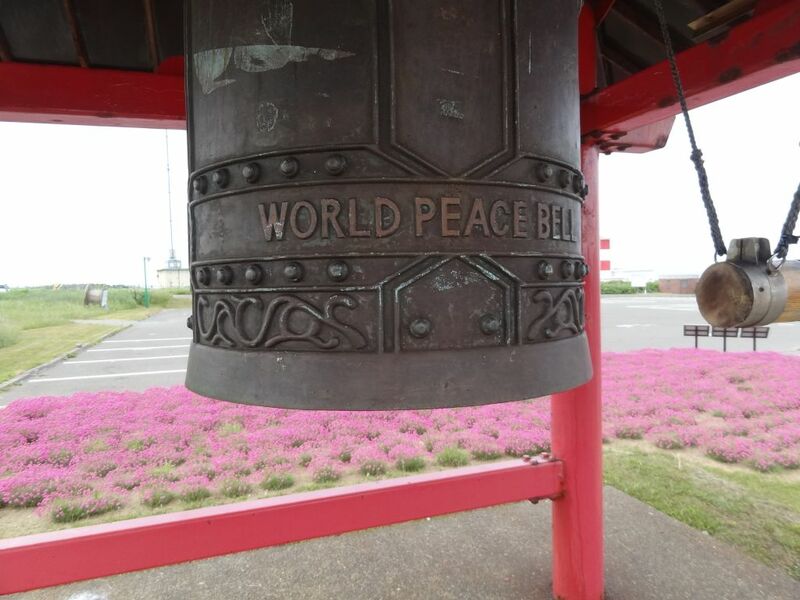 One of Chch World Peace Bell’s sister bells at Soya Misaki. This entry was posted in Cycle Touring, Hokkaido, Japan and tagged cycle touring, Hokkaido, Japan. Bookmark the permalink.